The fair’s award program honors a prolific Uruguayan author calling her a ‘force in the world of Spanish-language poetry, and a ‘pioneering writer’ of young adult books. 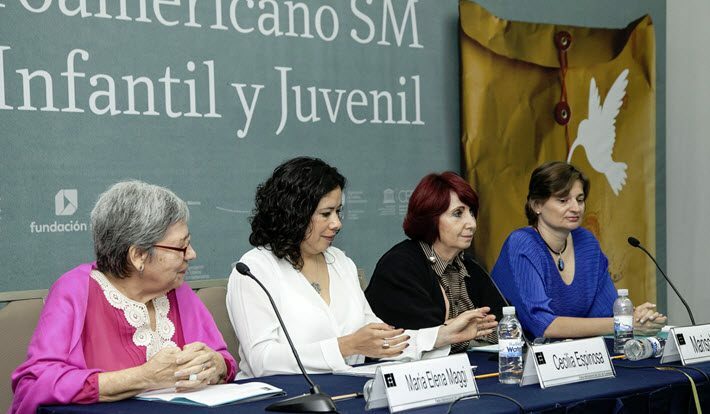 Uruguayan poet Ida Vitale and Argentina’s Graciela Montes have been awarded the Guadalajara International Book Fair‘s Literature in Romance Languages Award and the SM Ibero-American Award for Literature for Children and Young People, respectively. Both awards are scheduled to be presented during the annual Guadalajara Book Fair in Mexico, which runs from November 24 to December 2. The Literature in Romance Languages honor is awarded annually to a writer in Catalan, Spanish, French, Italian, Portuguese, or Romanian honoring lifetime achievement. This year, 62 writers from 17 countries were nominated. A prolific author, Vitale has published more than 20 poetry collections and more than a dozen books of essays and literary criticism through six decades of work. 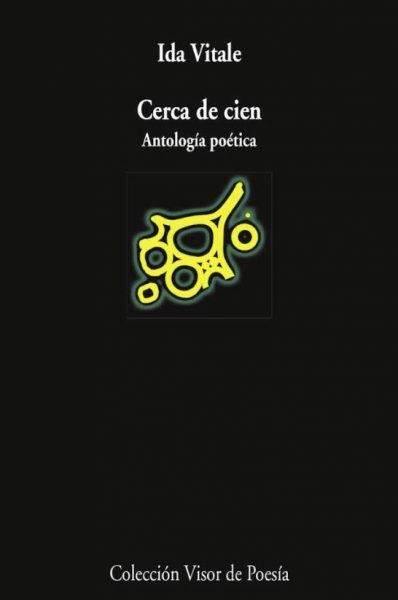 In its statement of rationale, the jury describes Vitale as “a poetic force in the world of Spanish-language poetry … Magnificent and mindful of the human experience in her words, and in what arises” from them. Born in Montevideo in 1923, Vitale has worked as a professor, journalist, literary critic, and translator and is the author of several poetry collections, including Suddenly Everything is Nothing, Lexicon of Affinities, and a 2015 anthology, Close to One Hundred. Vitale is the last surviving member of the so-called ’45 generation, a group of mostly Uruguayan writers who were active from the mid-1940s, and who are seen as having had a strong influence on the country’s literary and cultural scene. Other members of the group included Juan Carlos Onetti and Mario Benedetti. Vitale remained in Uruguay until 1974, when she fled the military dictatorship that had seized power the previous year, and settled in Mexico, where she lived for 11 years. During that period, she served on the editorial board of Vuelta, a literary magazine founded by Mexican poet and 1990 Nobel laureate Octavio Paz, and she was part of the group that founded the Unomásuno newspaper. “Almost all of the good things have come to me from Mexico,” Vitale told local newspaper El Universal on being announced the winner of this year’s award. “I’m not grateful to any other country in the world,” she said, adding that, at the age of 94, she still plans to write two or three more books. In 2009, Vitale was the recipient of the Octavio Paz International Poetry and Essay Award, and has also been awarded the Alfonso Reyes Award, the Queen Sofia of Ibero-American Poetry Award, and the Federico García Lorca and Max Jacob awards for poetry. The jury was made up of Héctor Abad Faciolince, Luz Elena Gutiérrez de Velasco, Efraín Kristal, Valerie Miles, Carmen Muşat, and Elena Stancanelli. Past winners of the Romance Languages Award include French author Emmanuel Carrère, Mexico’s Fernando del Paso and Margo Glantz, Portugal’s António Lobo Antunes, France’s Yves Bonnefoy, Italy’s Claudio Magris, and Romanian author Norman Manea. The book fair has also announced that Argentine author Graciela Montes will receive this year’s SM Ibero-American Literature for Children and Young Adults Award, which carries a $30,000 prize. 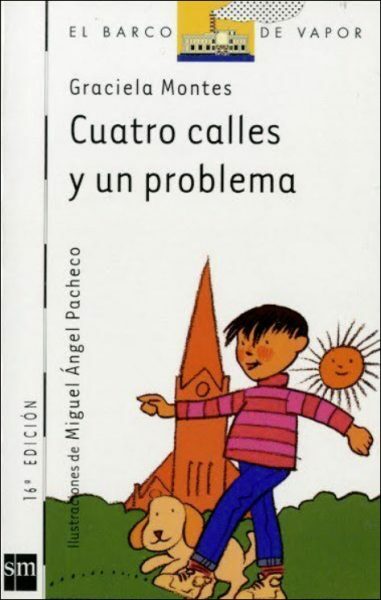 The award is co-sponsored by Fundación SM, a foundation formed in Spain in 1977 and funded by Spanish publisher Ediciones SM to promote educational and cultural initiatives for impoverished children and young adults in Spain and eight Latin American countries. Montes is published by Ediciones SM in Spain. Born in Buenos Aires in 1946, Montes is also a novelist, and her novel El turno del escriba (The Writer’s Turn) won the 2015 Alfaguara Prize. The jury comprised Juana Inés Dehesa, representing the Organization of Ibero-American States; María Elena Maggi, representing the Regional Reading Promotion Center for Latin America and the Caribbean (CERLALC); Verónica Juárez Campos, of the International Board on Books for Young People (IBBY México); José Pulido Mata, representing UNESCO; and Cecilia Ana Repetti of Fundación SM. Previous recipients of the prize include Mexico’s Antonio Malpica, Argentina’s María Cristina Ramos, and Marina Colasanti of Brazil. 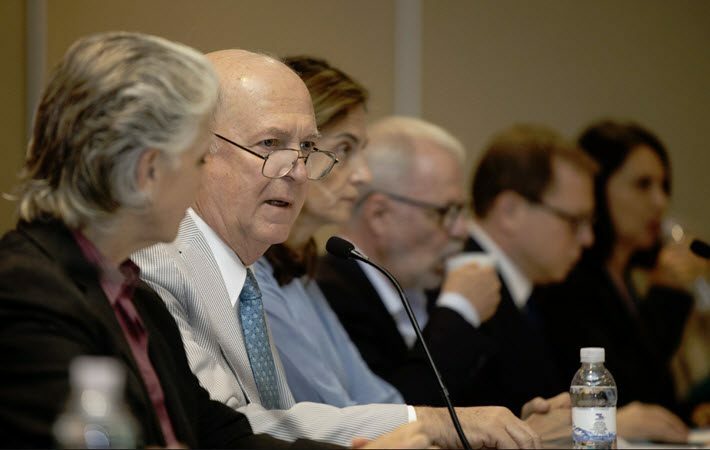 Portugal will be guest nation of honor at this year’s Guadalajara International Book Fair, while India has been announced as the 2019 guest of honor. 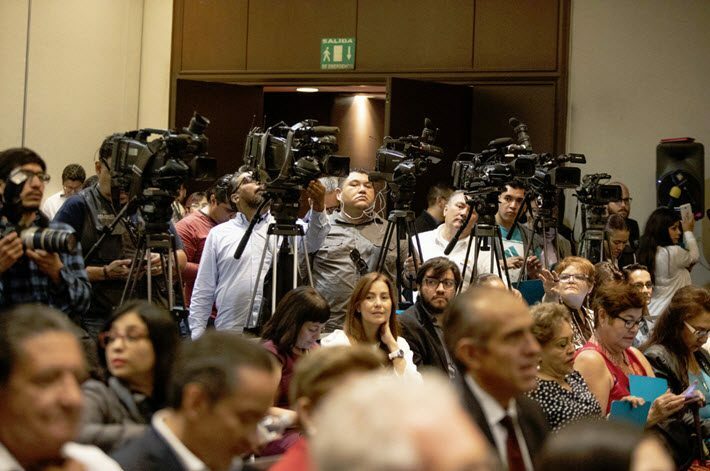 More from Publishing Perspectives on Guadalajara International Book Fair is here. And more on literary awards is here.